We’re not ones to rest on our laurels here at LikeMind Media because, as Ferris Bueller once said, life moves pretty fast. And we like to think we’re pretty good at keeping up with the times. Things change every minute of every day. Whether it’s an exciting new brief from a client, an innovative piece of tech that’s caught our eye, a campaign we can’t wait to get our teeth into, or welcoming a new member of staff on to our team. It’s what keeps us on our toes. So, we were just getting back into the swing of things after allowing ourselves the briefest of respite to bask in the warm glow of our recent award win, when news of more potential glory came filtering into the office. 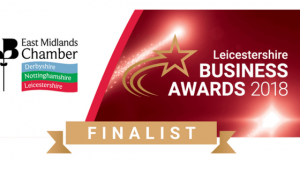 It means LikeMind Media will be going up against four other business for the Commitment to People Development award when the glittering Leicestershire Business Awards Gala Dinner takes place on September 21 at Athena, in Leicester. We feel very proud and honoured to make it this far. The annual East Midlands Chamber Business Awards brings the cream of local companies together to showcase their business, and are among the most prestigious areas of activity undertaken by the Chamber. They are the only ones locally that offer winners a chance to compete in regional and national heats of the British Chambers of Commerce Awards. Commitment to people is something we believe strongly in. And we think it’s something we do quite well. And it must be true, because it’s been recognised by such an esteemed body as the Chamber. People play a massive part in our work, as indeed they do for many other businesses. Whether it’s our staff here at LikeMind HQ, our clients, our clients’ clients, the people in the office down the hall or the student here on work experience. We’re a people company. We invest a lot into developing and nurturing relationships, and we hope those people get as much of a buzz out of it as we do. 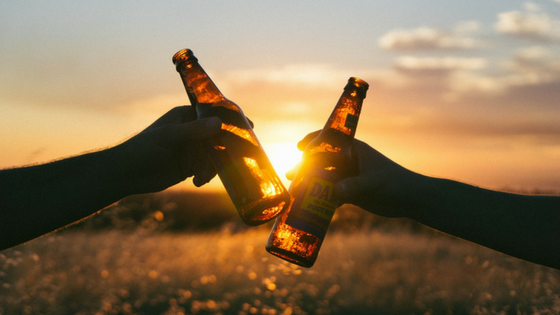 Our MD Paul Ince (@BizPaul), who is never one to shy away from a social gathering, returned from the bar with a round of celebratory drinks for us all, to say: “People are everything to LikeMind Media. That may sound glib, but that is the truth. “We like to create a culture where people can grow, it’s something we thrive on. Whether that’s our own staff, who range from the young to the not-so-young or the experienced to the less-experienced, to student placements or internships. We’re all in the same boat and part of the same team. We’re here to learn, to grow together and to develop together. “We work with Loughborough University, we love to talk to graduates, we offer placements to students, and we’re really keen to provide whatever we can. “And it’s not just inside our office. You’ll very often see us at conferences all around the country, where we talk to our peers and share ideas, learn new things, and ultimately create relationships.